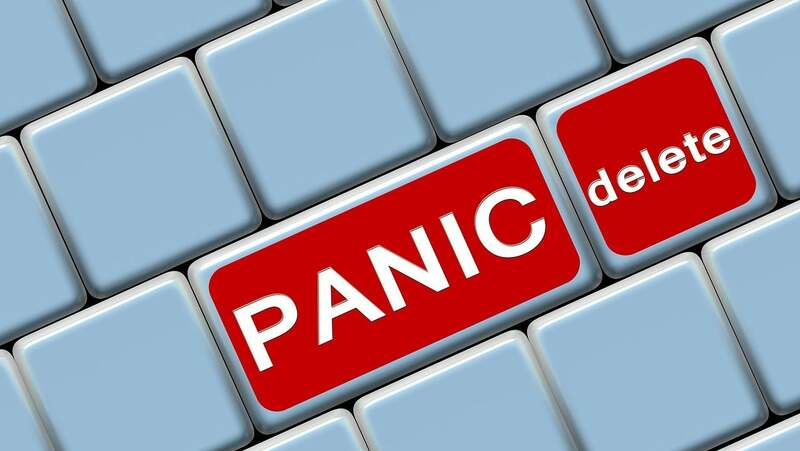 With all the security issues surrounding Facebook in recent weeks, we're all probably paying a bit more attention to what web services we use and how much information about us they have (and if you're not doing that, you should be). While some sites allow you to delete your account and all your data along with it, others make it a bit more difficult. 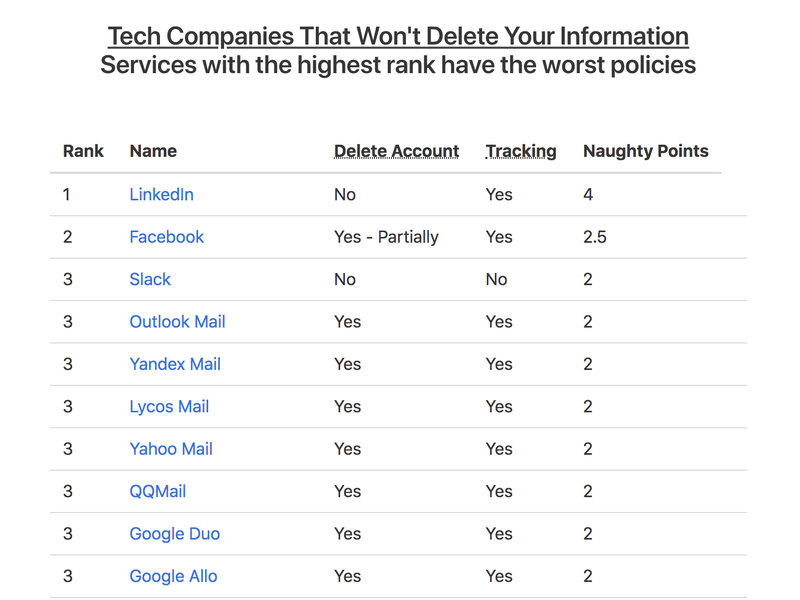 Secured.fyi has made a list, aptly named Naughty List, that lists all the tech companies its aware of that won't delete your information and ranks them based on who has the worst policies. Surprisingly, Facebook isn't the top of the list. That honour goes to LinkedIn. Facebook comes in second but is followed by Slack, and then a variety of email services. If you're currently taking stock of what services you use and how they use your information, it's a list worth checking out. And if you know of a company that's not on the list but should be, you can request that it be added via Secured.fyi's dedicated Slack channel.